Europe in the Middle Ages had descended into a dark period, and none more so than in the field of medicine. The rich heritage of the pagan Greeks had largely been ignored or forgotten by medieval Europe, and instead it was the early Arabist world that embraced and developed the Hellenistic medical teachings, emerging not only as guardians of the classical learning still existent, but also as pioneers and innovators, restricted only by the development in the associated fields. 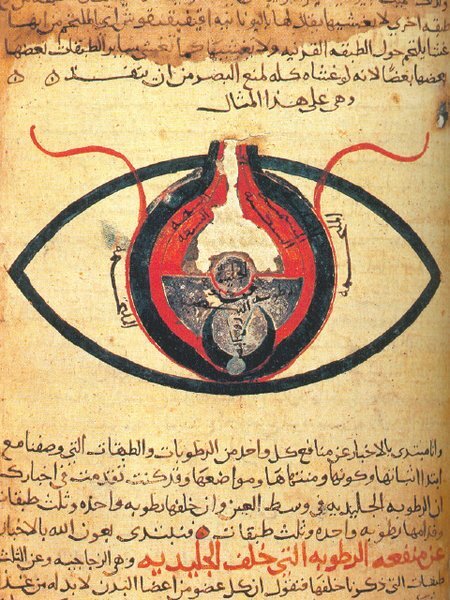 The Kahhal, or Oculist or Eye Specialist, had a privileged place in royal households, especially during the Abbasid period, in contrast to the time of Galen, whose writings referred to ophthalmologists in a rather derogatory manner. This elevated standing in the medical profession allowed Arabist scholars to cultivate remarkably erudite techniques and exceptional texts, which were used until very recently. Under the Islamic Prophet Muhammad (570–632), Arabia’s many tribes first began to unite together under one state and one ideal. The Prophet Muhammad gave detailed guidelines on diverse aspects of well-being, oftentimes looking after patients himself, with an emphasis on sound health being the natural state of existence, and as a result medicine became a central aspect of early Islamic endeavors. Following the death of the Prophet Muhammad in 632, Islam spread rapidly, slicing through the Middle East into Africa, and as far west as France. This rapid expansion led to the rise of three fundamental dynastic caliphates: the Abbasids (750–1258) arose in Persian Baghdad; in the Spanish West, particularly at Cordova, the Umayyads (756–1031); and the Fatimids in Egyptian Cairo (909–1171).